Orion5 is designed to bring features from industrial and research grade robotic arms to education. 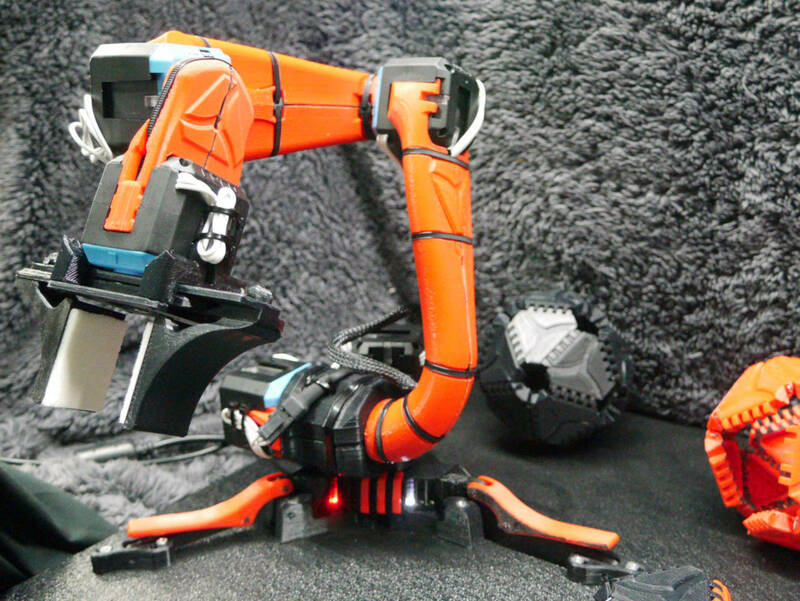 Orion5 is a robotic arm designed for education. Orion5 can be mounted on a desk and controlled via USB or WiFi, or mounted on our Proteus robot chassis to create a mobile robot capable of perceiving and interacting with its environment. As an independent module, the Orion5 can be controlled by a computer to achieve drawing, pick and place objects, or use custom tools. Mounted on Proteus and combined with other sensors, it can complete any number of advanced tasks. Built into every design decision behind Orion5 is safety. Our products are not designed for just one skill level, they are designed to suit a wide variety of learners. 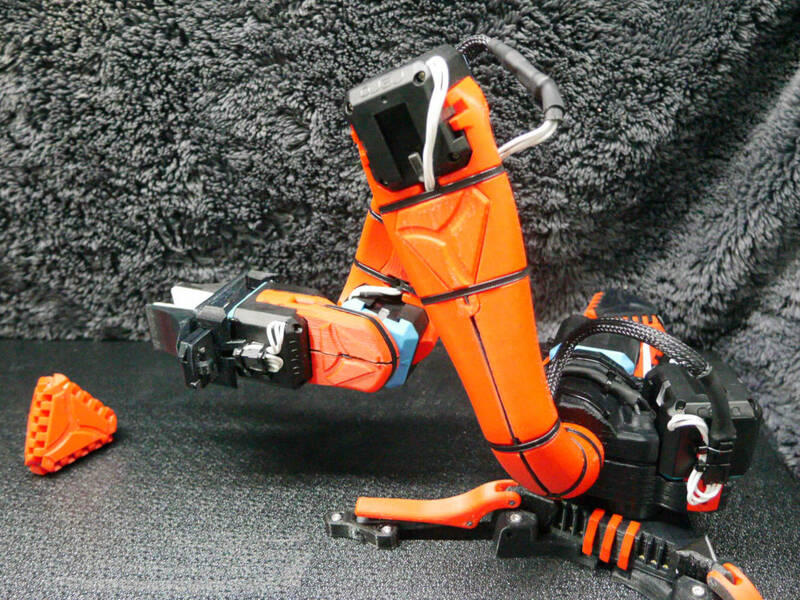 The Orion5 robotic arm is designed to be used from early high school through to university classrooms. For example, Queensland University of Technology (QUT) in Brisbane, Australia, has been using Orion5 in a third year engineering subject, 'Introduction to Robotics'. Orion5 is designed to work in a similar manner to a 'real' robotic arm, one you might see in research and industry. Therefore, Orion5 is not limited to a small range of functionality like other 'kits' on the market.